We won’t lie. Sometimes we work our authors hard when they come to Columbia for the festival. 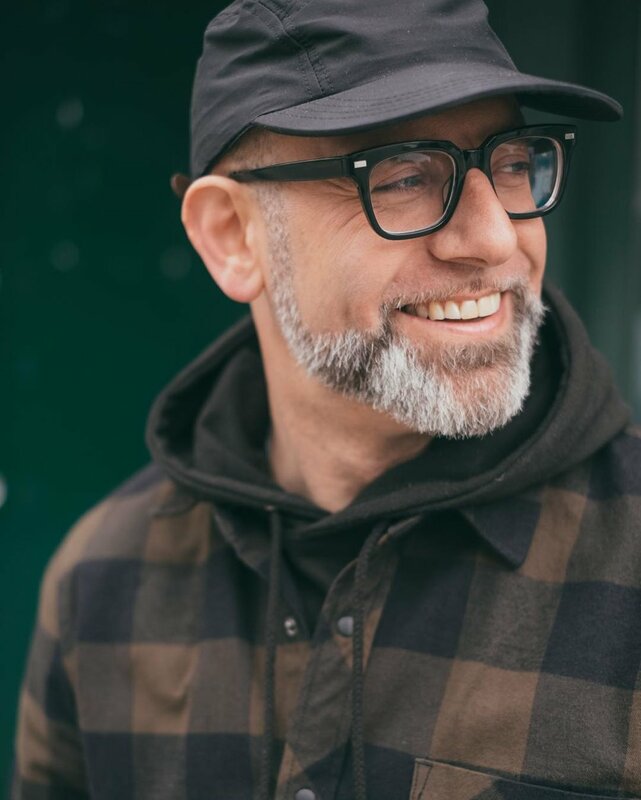 Take Kevin Coval, for example. As an educator, he expressed a particular interest in talking to students, and so on Friday April 19 he will be part of our “Authors in the Schools” and will be speaking to audiences at two high schools. Then on Saturday he’ll be giving a poetry reading and will also be participating on two panels, one about writing about music (he’s an expert on hip-hop) and one about Chicago. Kevin is also the founder of the world’s largest youth poetry festival, Louder Than a Bomb, and Unbound will be hosting the final of the local LTAB competition… so our guess is that he’ll probably want to hang out there a little bit, too. Both poet and community builder, Kevin is the author of 10 books, including A People’s History of Chicago, co-editor of The BreakBeat Poets: New American Poetry in the Age of Hip-Hop, and co-writer of the play This is Modern Art, which premiered at Steppenwolf Theater in 2015. Additionally, he is the Artistic Director of Young Chicago Authors, the winner of a MacArthur Award for Creative and Effective Institutions, founder of Louder Than A Bomb: The Chicago Youth Poetry Festival, and co-host of the WGN Radio podcast The Cornerstore. His work has appeared on The Daily Show, four seasons of HBO’s Def Poetry Jam, CNN.com, Poetry Magazine, and Fake Shore Drive. He is the editor of the Haymarket Books imprint Break- Beat Publishing, which is dedicated to publishing radically fresh voices, and teaches hip-hop poetics in high schools, colleges, and community centers around the globe. Newer PostGeorge Saunders Tickets are Available NOW!